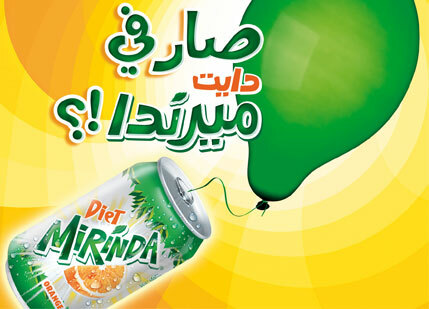 Diet Mirinda | Creative Sampling | Brands in Action | Direct Marketing S.A. 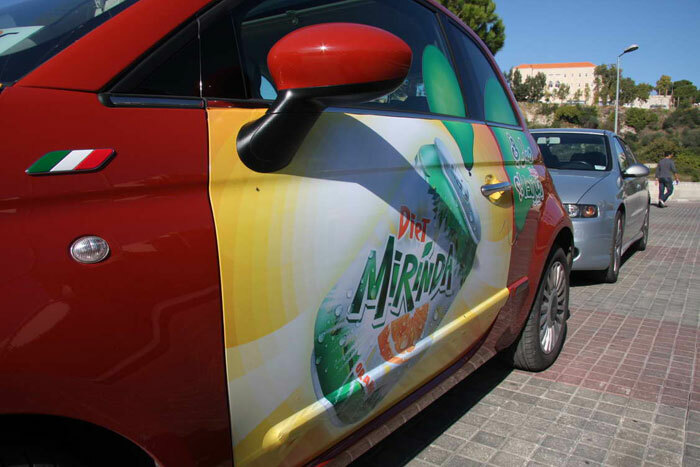 When a brand is planning a world premiere of a product, you’d expect it to want to work with an expert marketing agency. 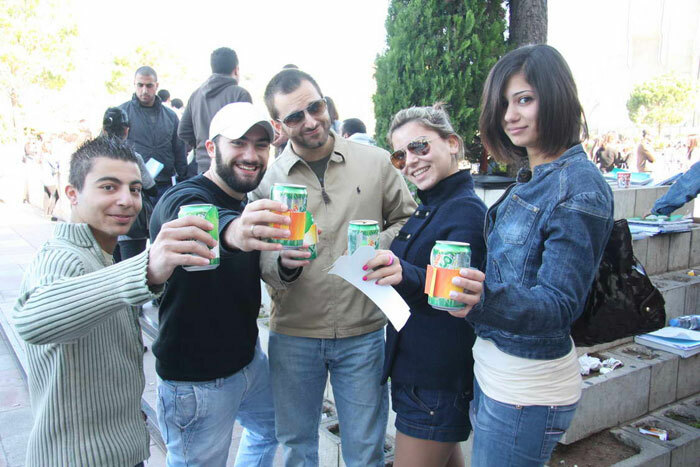 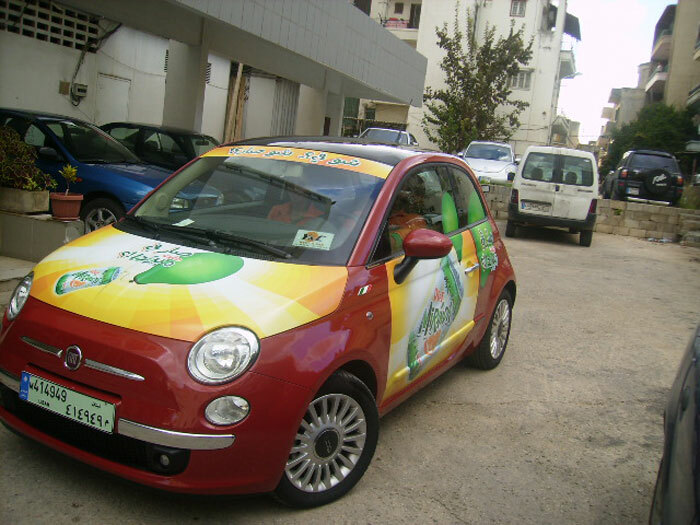 So when PepsiCo selected Lebanon for the first international launch of Diet Mirinda, they enlisted our help to handle the campaign. 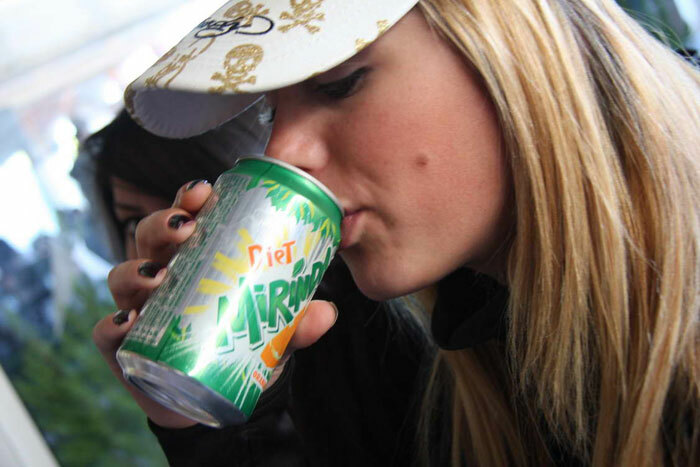 During November and December of 2008, we ran a chilled sampling campaign for the new diet soda, covering cans with a customized sleeve. 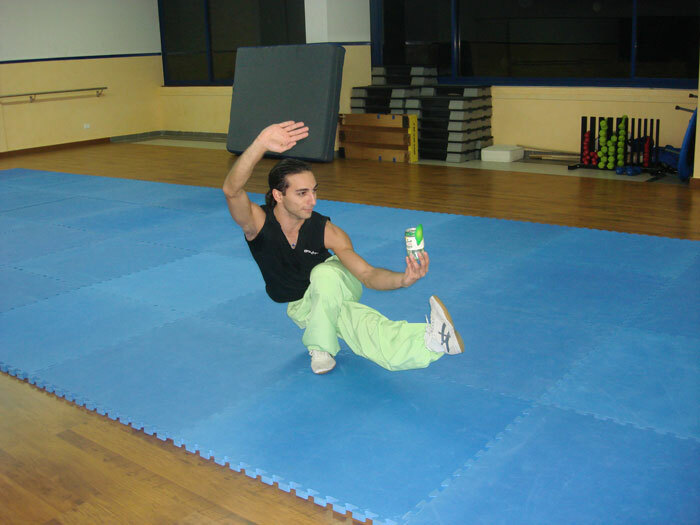 We distributed over 25,000 samples in universities, offices, social clubs, gyms, diet centers, shopping malls, nail bars, beauty shops, spas, hair studios, clothing stores and nightlife areas. 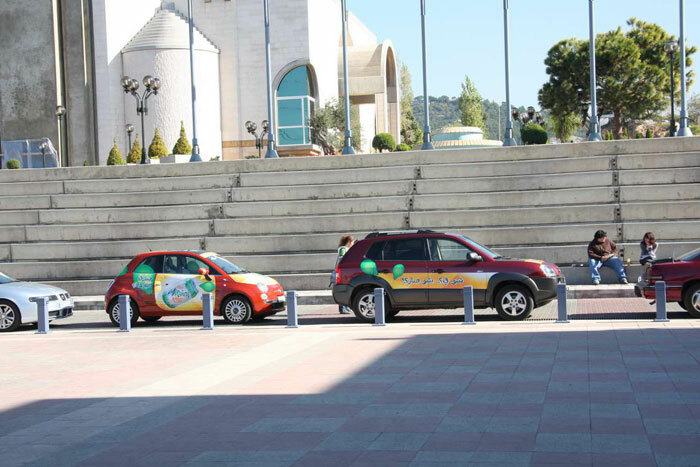 For the campaign, we used two branded cars that roamed the streets together. 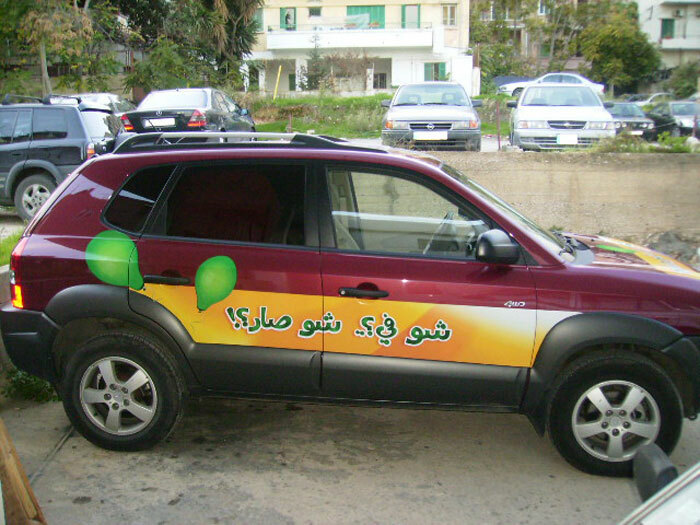 The first car, an SUV, carried the teaser message (Chou fi? 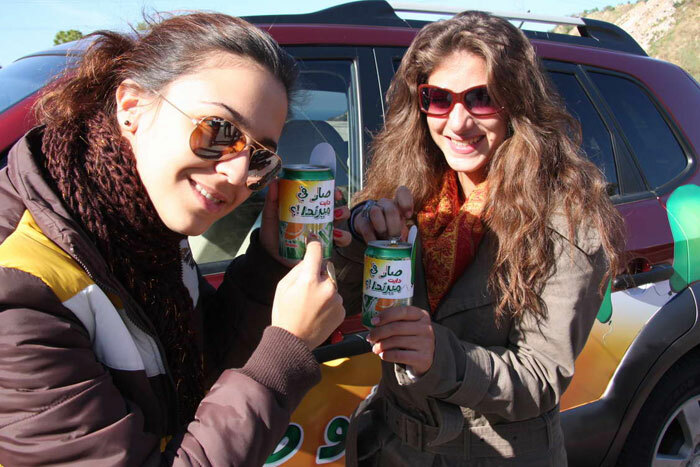 Chou sar?). 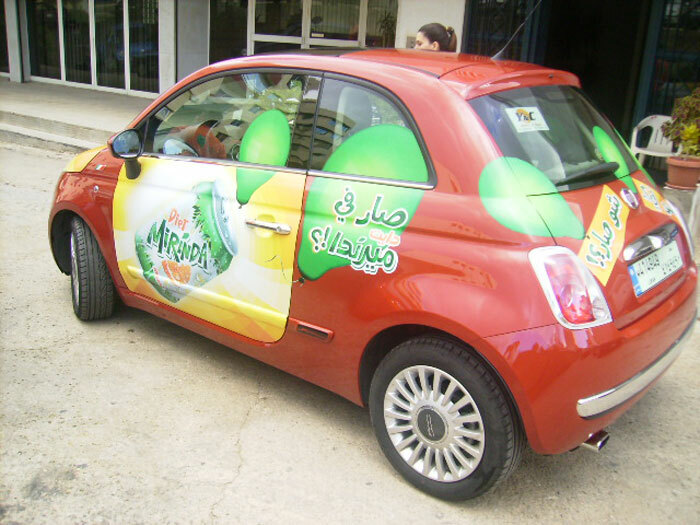 The second vehicle, a recently released Fiat 500, carried the revealer message (Sar fi Diet Mirinda.). 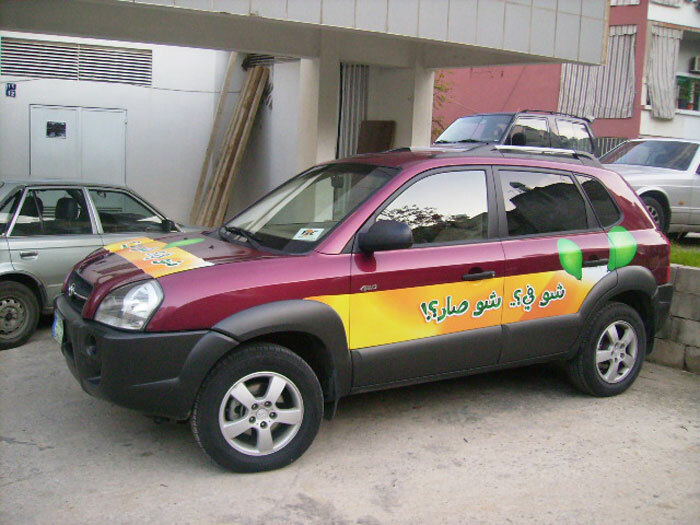 The creatively wrapped vehicles served as mobile billboards that offered a high impact, high visibility medium with outstanding head-turning ability. 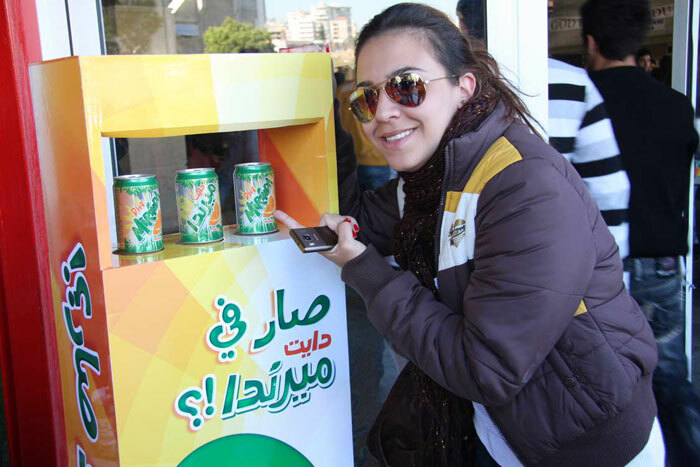 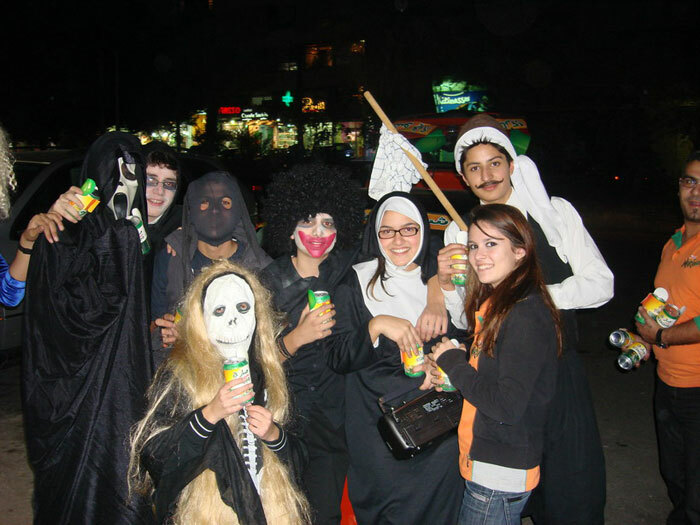 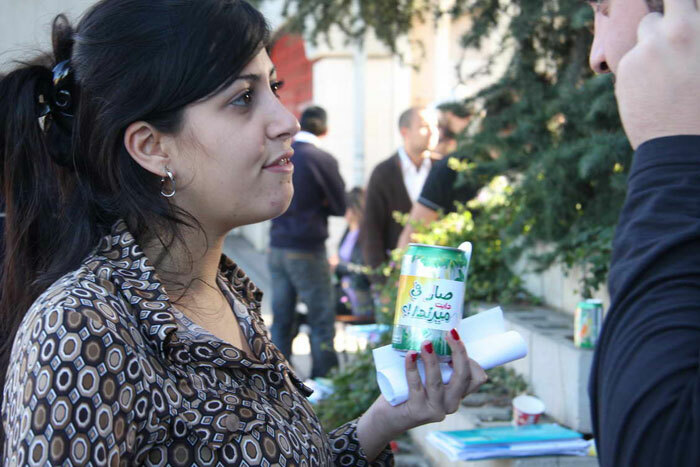 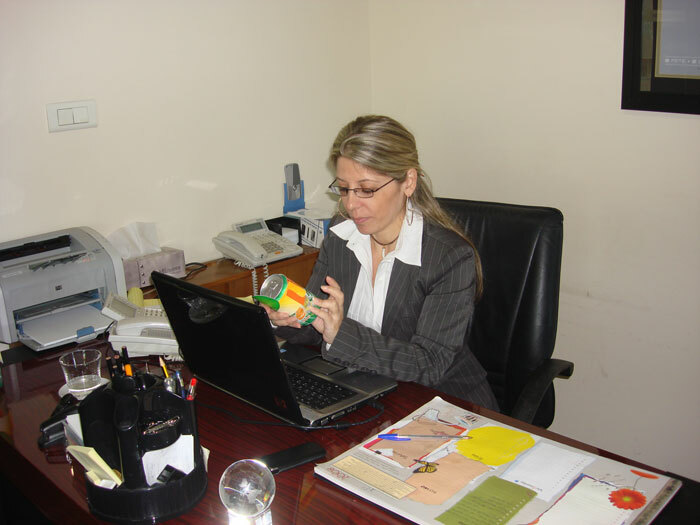 They ensured consumers knew of Diet Mirinda’s availability and enticed them to try it.